Former NADC Fine Arts graduate Justin Gloor would like to invite you to his latest group exhibition. After enrolling in Certificate II Visual Arts and Contemporary Craft, Justin went on to study a Diploma of Fine Arts at WSI. After he left our art school, Justin completed a fine arts degree with Honours at Sydney College of the Arts. 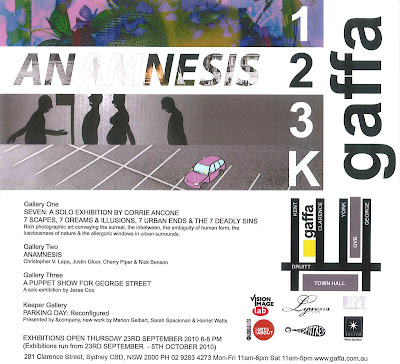 All are welcome to the exhibition, which opens at 6pm on Thursday the 23rd of September at gaffa. Click on the invitation for more details.